In any home renovation project, demolition is necessary. It is a messy and dangerous business, and can result to a lot of dust, shattered wood and brick, and broken walls. But you cannot just go on smashing walls with a sledgehammer. You may need different tools and equipment, depending on what you are demolishing. Here, we will discuss the 5 must-have tools and equipment that you must have for a demolition project. Let’s start with the standard claw hammer. You can use this to do small prying jobs and to take out buried nails. Next, we have the sledgehammer. No demolition kit is complete without one. It is used to knock off wood support beams and other interior framing. It can also be used to smash brick work. Crowbars or pry bars are used to pry nailed wood. It can also be used to lift out old tiles, shingles, wood flooring, and stubborn nails. It can be used to pull up interior wood framing as well. In addition to the crowbar, there is also the San Angelo Bar. It is a heavier bar that looks like a spear. At 72 inches and weighing 17 pounds, this bar is a heavyweight. It can be used to take on stubborn floor tiles or clay, and to break some concrete. This bar is mostly used to break anything on the flooring of your home. 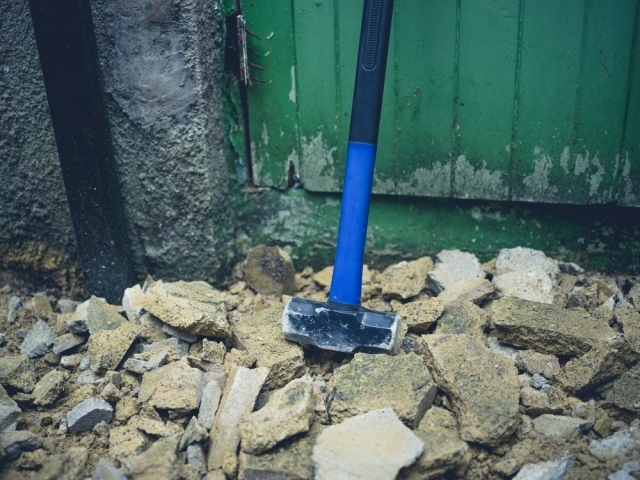 Demolition work does not always mean swinging away your sledgehammer. Screwdrivers are used for more delicate work, such as taking care of electrical switches and outlets before you smash those walls. Screwdrivers in long flat head, standard-sized flat head, and one with a Phillips head are all you need. An oscillating multitool can be used to make clean slices through wood, metal, and plaster. It is usually used when precision cutting is needed. Demolitions can be hazardous work, and it is an absolute must that a person who performs demolition jobs be properly geared and protected. Work gloves can help prevent blisters and protect the hands. Safety goggles are needed to protect your eyes from dust and flying debris. Masks are also a must to protect you from dust and from any harmful chemical present such as lead or asbestos. Wear proper foot gear to protect you from protruding wood and nails. A hard hat is also necessary to protect your head from any falling debris. If you need to do some demolishing in your home renovation project, call a reputable equipment rental company. Leaving the demolition work in the hands of the experts ensures your safety and that of your family’s. With the necessary tools and equipment, the job will sure be completed faster and more efficiently.